The 15th (Scottish Volunteer) Parachute Battalion raised as 15th (King's) Parachute Battalion. The 15th Parachute Battalion was formed in India during 1945 from the 1st Battalion the King's Regiment (Liverpool). Prior to this the 1st Battalion King's had been part of the Chindits special force and taken part in the second Chindit expedition, Operation Thursday, of 1944. It was assigned to the 77th Indian Parachute Brigade, part of the 44th Indian Airborne Division. The war ended before the battalion was committed to combat but a number of officers and sergeants parachuted into Japanese Prisoner of War Camps in Java, Sumatra, Bangkok and Singapore to provide aid to the prisoners. English made Troop Carrier patch in good condition, removed from album trace of glue on the back otherwise a great period example. 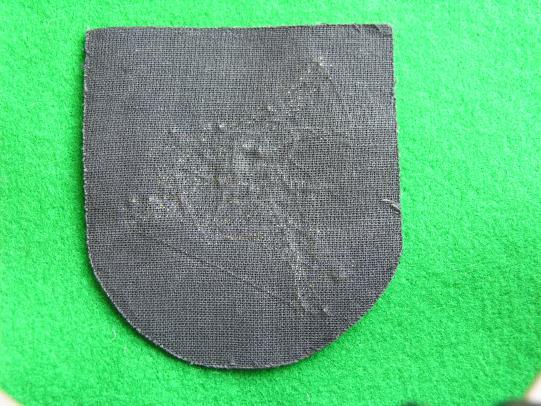 Measures 3 5/8" x 2 3/4"
A printed un-cut pair of Combined Operations Commando formation sleeve badge. In mint condition. 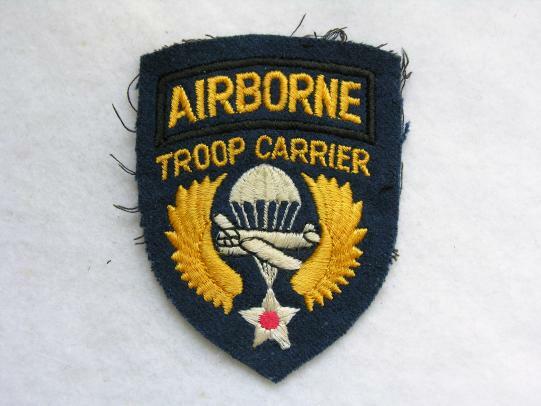 Measures 7" x 3 3/4"
A 1950/60's Paratrooper Wing in used condition and removed from uniform. 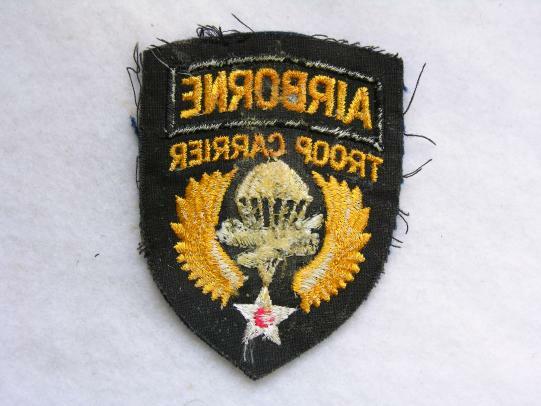 Here is a 1960/70's paratrooper wing, used and removed from uniform, colour is faded to near white. Measures 2 7/8" x 1 1/4"
A removed from uniform example with some colour fading and service wear. Here is the rare classic " Indian" made F-S knife, complete with its original leather scabbard and frog. It has a knurled grip and a molten metal pommel and a matching scabbard throat. This pattern of knife is thought to have been issued to the 44th Indian Airborne Division. A WWII British Paratrooper Helmet, dated 1944 by BMB.MkII fitted with the WWII chin strap edging. Size is 6 7/8" and has a damaged net. Retains 60% of the camo paint and has the numbers 17/011 in white painted on dark blue to the left side. Named in the back to Kershaw 2 Trp. A WWII helmet and may have been the subject of a repaint. 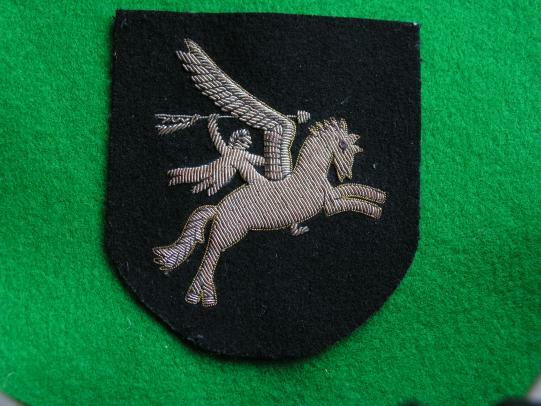 An Airborne Division "Pegasus Bellerophon" badge in bullion thread on black wool, some age and tarnishing.